Grow your business-and make more money! Langemeier gets you up to speed on marketing, sales, operations, finance, and management to keep your business operating effectively. She also shares instructive and inspiring real-life examples of successful Cash Machines and explains how to use profits to fuel the Wealth Cycle. In order to be truly wealthy, you need more than a 9-to-5 salary and investments: you need a Cash Machine. 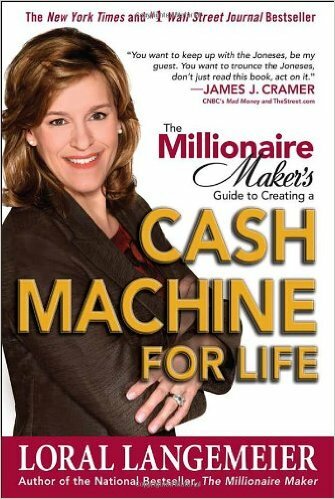 The Millionaire Maker's Guide to Creating a Cash Machine for Life gives you the necessary tools to begin your journey to a lifetime of financial happiness-today!